Size: 0 sq. 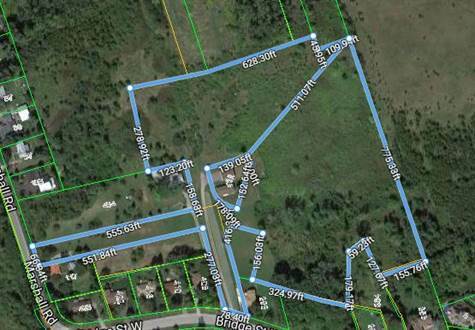 ft. "Acres 36 Lots"
ATTN builders/Developer an approximately 12.41 acre parcel of land with draft plan of subdivision in place with approved for 36 lots and a potential of 40. With an entrance between 398 and 408 Bridge St W and also on Marshal Rd. It backs on to another parcel of land of approximately 30 acres also listed MLS 404580286 fronting on Moira St West.